Breda Telephone Corporation d/b/a Western Iowa Networks is looking for a full-time Network Engineer for their Breda, IA operations. 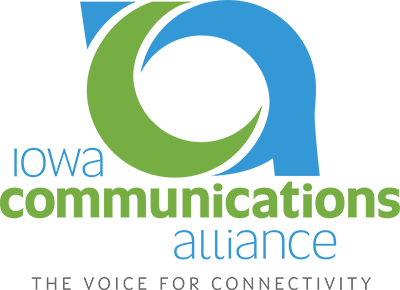 Evaluate and standardize technologies and architectures in relation to the infrastructure and service needs of Western Iowa Networks. Monitor network, equipment, and customer circuits. Attends various meetings with management, departments and vendors to ensure company objectives are met. Participates in inter-departmental planning meetings to coordinate and communicate activities related to the successful completion of projects. Work closely with other departments to design and roll out new data infrastructure, technologies and services. Designing, configuring and commissioning network elements. Performs other duties as assigned by Director of Operations. Demonstrates advanced knowledge of modern service provider data networks, technologies and protocols such as OSPF, BGP, MPLS, IPv4 and IPv6. Experience building and maintaining virtual environments supporting Windows & Linux OS’. Strong working knowledge of IP security architecture and protocols. Solid experience in designing and supporting IP networks for voice, data and video in a Service Provider environment. Skill in troubleshooting, problem identification and resolution. Skill in oral and written communication with the ability to communicate with customers, employees, and various business contacts in a professional and courteous manner. Skill in reading and interpreting technical documents such as vendor deployment guidelines, white papers and configuration manuals. Ability to work independently as well as in a team environment. Ability to organize and prioritize multiple work assignments. Ability to make sound decisions using information at hand. Prefer 4-Year degree in Network Systems Administration or related field and/or equivalent amount of experience. Current CCNA. CCNP. BCNP or CCSPNE Certification. Congratulations Jason Lamping! 2018 CyberCon Member of the Year. Congratulations Doug Pals! 2018 Convergence TV Committee Member of the Year. Congratulations Marcie Boerner! 2018 Executive Pathway Committee Member of the Year. Congratulations to Mike Leeds! 2018 Impact Committee Member of the Year.